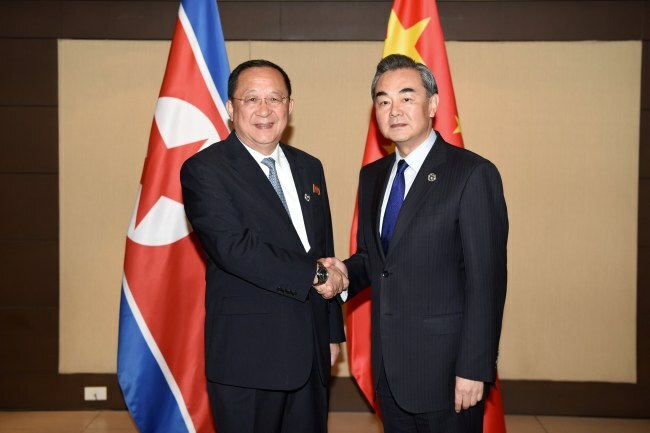 As Seoul shores up its diplomacy with the Association of Southeast Asian Nations, the Philippines is fully committed to the Korean peninsula’s denuclearization efforts as the chair of ASEAN this year, said the country’s top envoy here, also highlighting flourishing defense and law enforcement cooperation between the two countries. 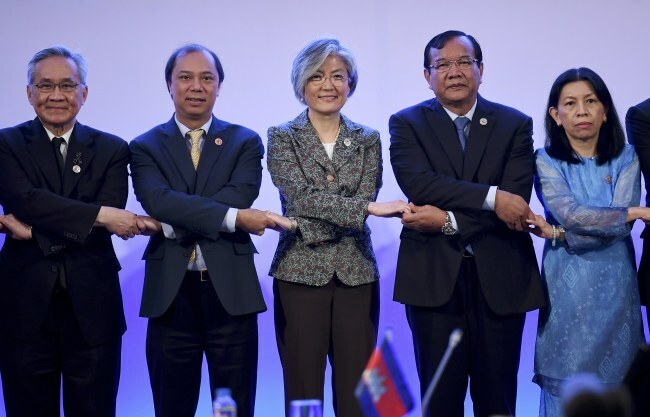 During the ASEAN Foreign Ministers’ Meeting in Manila on Saturday, the top diplomats of the 10-member bloc expressed their “grave concerns” over the escalating tension in the peninsula, and vowed to lend full support to the denuclearization initiative through diplomatic means. South Korea, for its part, has been upping its relations with ASEAN as part of its diplomatic diversification. 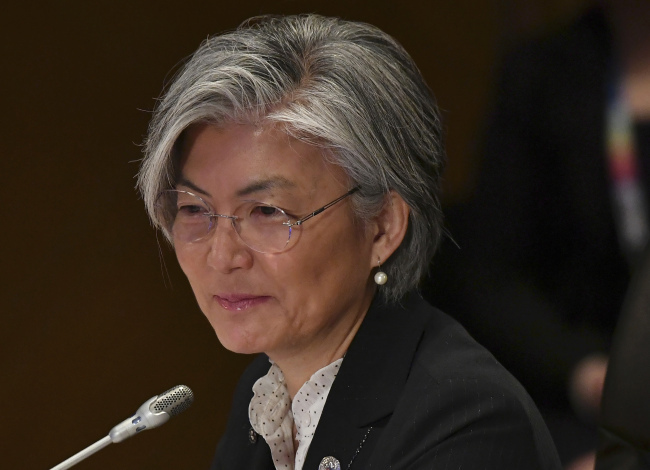 In Manila on Sunday, South Korean Foreign Minister Kang Kyung-wha, who made her debut on the multilateral diplomatic stage, said Seoul is working to “expand its diplomatic horizons and diversify its diplomacy in earnest,” by elevating the strategic partnership with ASEAN to the level of four major powers of the US, China, Russia and Japan. In ways somewhat similar to South Korea, the Philippines has been mired in vital security and territorial quandaries over the years. Manila has been battling Maute, an Islamic State-inspired terrorist group in Marawi City on the island of Mindanao, and wrangled with Beijing over territorial sovereignty in the South China Sea, also called the West Philippine Sea. 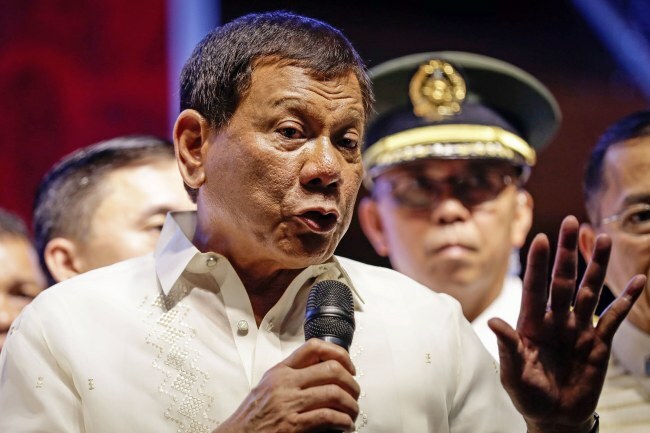 The high public support for the president’s heavy-handed responses to fighting corruption and terrorism demonstrates the urgency of troubles, Hernandez explained, noting nearly 80 percent of people expressed being satisfied with the government in public polls. The Philippine Congress also affirmed its approval of continuing the fight against terrorists, as evidenced in an overwhelming majority vote of 261 to 18 on July 22. The parliamentary decision will extend the martial law in Mindanao through the end of this year. Beijing’s tug of war with five other governments in the strategic waterway, laden with rich oil and gas reserves, intensified after it constructed islands in disputed waters and reportedly began installing a missile defense system on them. Many analysts view Duterte’s diplomacy as a hedging strategy between Washington and Beijing, with the mercurial leader recently inching closer to China for economic gains, including the lure of more Chinese investments and infrastructure development in the country. 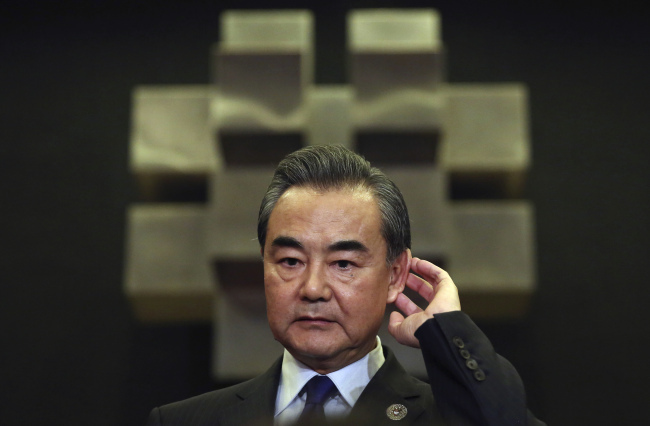 Chinese Foreign Minister Wang Yi said Sunday in Manila that talks for a nonaggression pact -- called the Code of Conduct, aimed at preventing clashes from erupting in the South China Sea -- may start this year, as long as “outside parties” do not interfere. 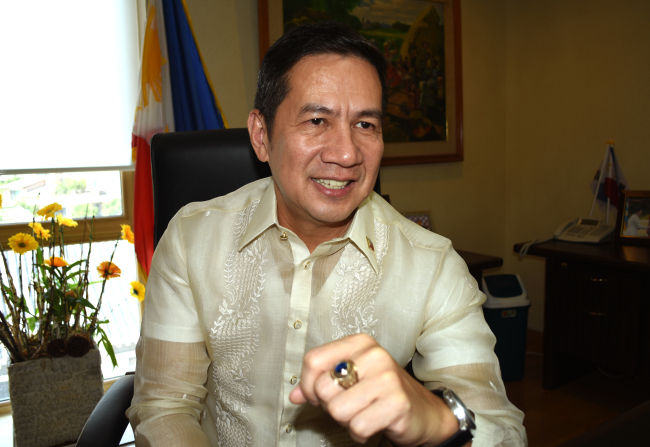 The Philippine government spokesman Robespierre Bolivar also said that ASEAN and Chinese ministers have approved a framework for the code and agreed on steps to kick-start negotiations on the maritime accord. Touching on violent crimes committed against Koreans in the Philippines in recent years, Hernandez said the Philippine National Police has been vigilantly guarding the safety of all foreigners, including Koreans, with a tourism security force instituted in its apparatus. The law enforcement agency’s Criminal Investigation and Detection Group is conducting a thorough investigation of pending cases involving Korean citizens, he added. Some 1.5 million Koreans visit the Philippines every year, and around 90,000 Koreans reside there. Manila and Seoul have strengthened defense and law enforcement cooperation in recent years. The Korea International Cooperation Agency, in collaboration with the Korea National Police Agency, announced in July they will spend some $6.6 million through next year to transfer to the Philippine police a wide range of investigation techniques, including forensics, evidence analysis, data management and suspect tracking. In addition, some 270 patrol cars and motorcycles, along with 120 scientific investigation kits, will be handed over. About 150 Philippine police officers will undergo training in Korea. On the bilateral defense, areas of cooperation encompass information sharing, exchange of visits for personnel and experts, education and training, research and development, defense technology and production, logistics and maintenance, humanitarian assistance and international peacekeeping operation, according to the envoy. The two countries also entered into the Protection of Classified Military Information agreement in 2015. Twelve FA-50 fighter jets developed by the Korea Aerospace Industries have been delivered to the Philippines, while a decommissioned Pohang-class corvette from the South Korean Navy is in the process of acquisition by the Philippine Navy this year. Hernandez pointed to the growing two-way economic cooperation, highlighting his country offers a unique combination of high economic growth, a large market base and competitive manufacturing capacity. “This decade will be one of Philippines’ growth,” he added. The market size of the Philippines is also substantial, the diplomat said, mentioning a population of some 100 million people, including rising middle classes, mostly well-schooled and fluent in English. The median age of the Philippine citizenry is 23. “We are also very competitive in the manufacturing sector, which is why many Korean companies have invested in the Philippines with great successes, particularly in shipbuilding, electronics production, food and agricultural processing,” he argued. Korean small and medium-sized enterprises have also made significant inroads into the Philippine market, he said. They are involved in television shopping and e-commerce, cosmetics, fashion, food, tourism, game development, finance, education and other services, as well as light manufacturing across the country’s numerous economic zones. This year marks the 10th anniversary of the ASEAN-Korea Free Trade Agreement. Although the aggregate trade between the two regions has risen substantially since, Korean exports to ASEAN have expanded more sharply than ASEAN’s. Noting the Philippines has also stacked up a trade deficit with Korea, as Filipinos purchase more Korean goods than vice versa, the trade imbalance needs to be addressed on several fronts, according to Hernandez. To help offset the trade imbalance, Korea has been providing capacity-building assistance to ASEAN SMEs, ranging from product development and technology to packaging and marketing, as well as business-to-business meetings. “With these measures, I am confident that the next decade of ASEAN-Korea free trade will be equally, if not more, successful, and also more equitable,” he claimed. 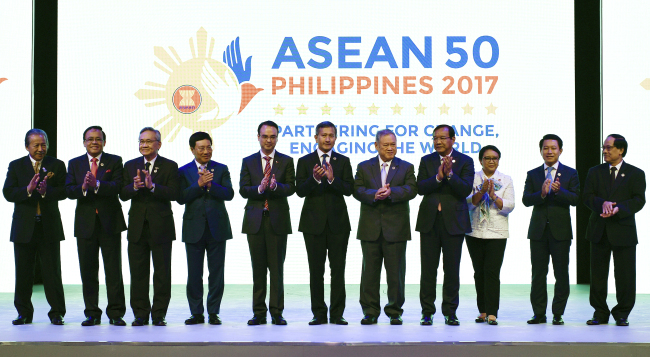 Manila being the chair of ASEAN this year, which marks the 50th anniversary of its founding, the country’s top diplomat Alan Peter Cayetano, secretary of foreign affairs, will be a keynote speaker alongside his counterpart Kang at the International Conference on ASEAN-Korea Partnership on Aug. 30 in Seoul. The ASEAN Culture House will be inaugurated in Busan on Sept. 1, giving an additional institutional footing to the ASEAN-Korea Cultural Exchange Year celebrations.